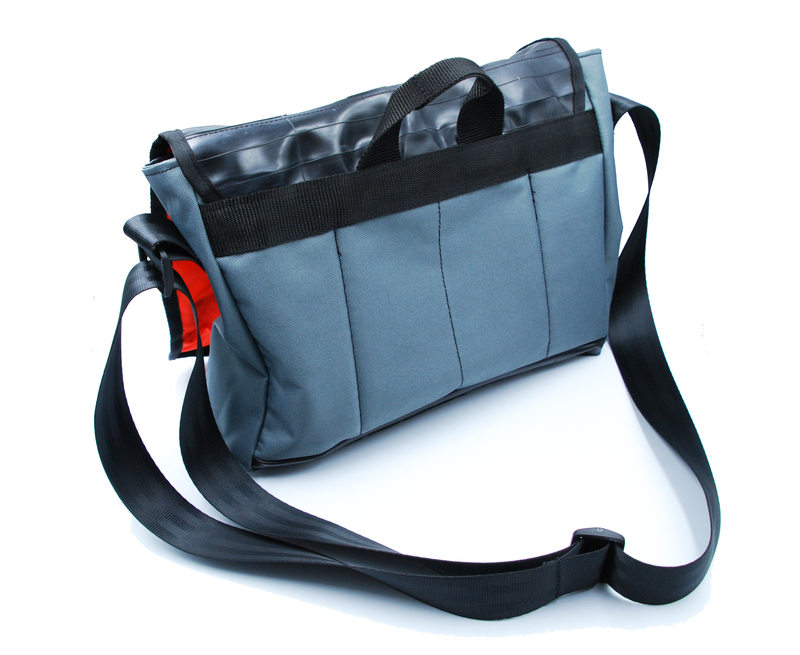 This stylish and robust messenger is a great all-weather commuter bag. 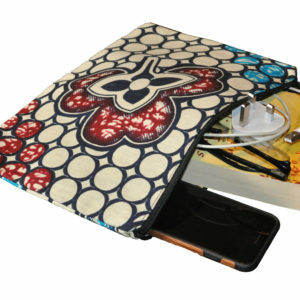 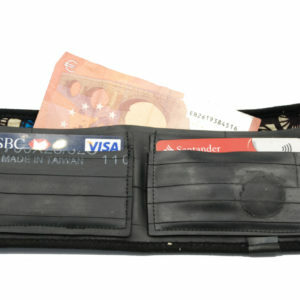 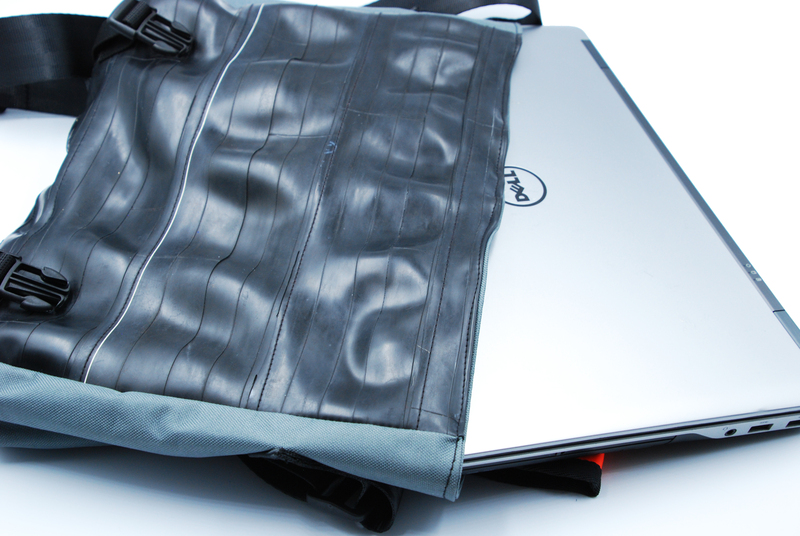 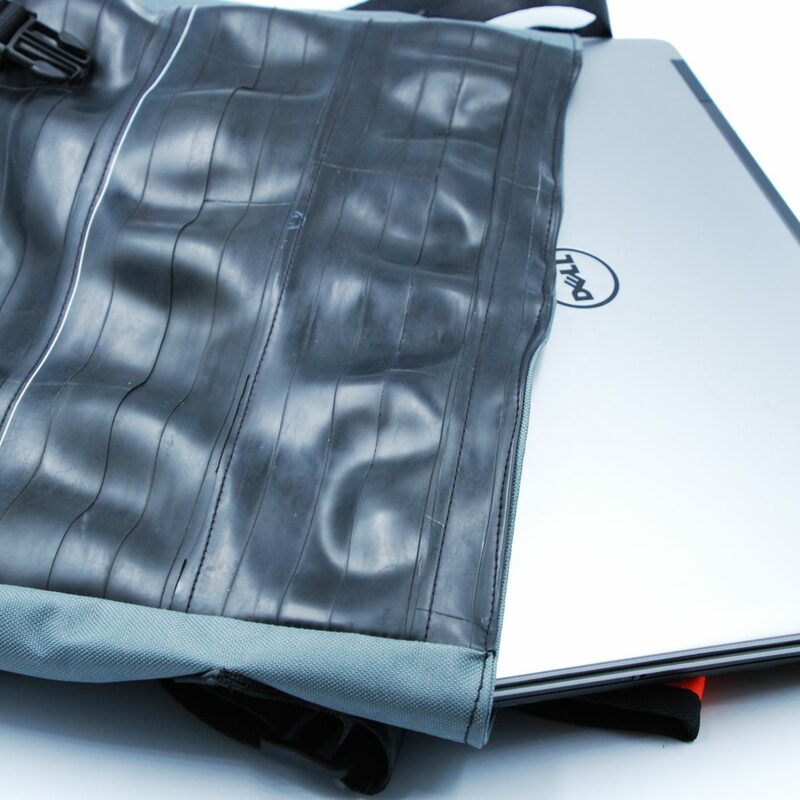 It will easily accommodate lever arch files and 17″ laptops, making it a perfect everyday work bag. 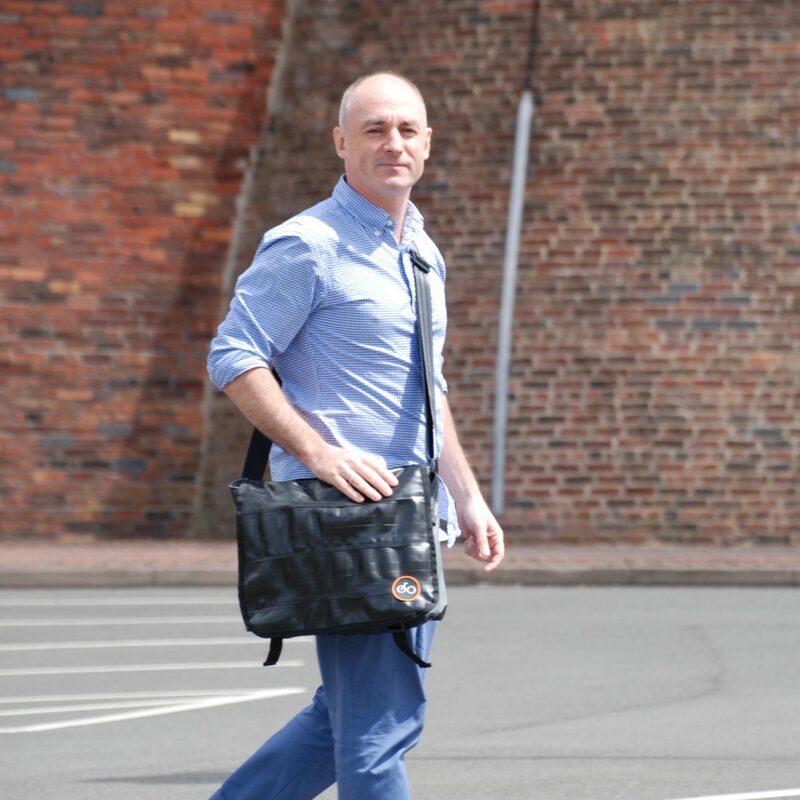 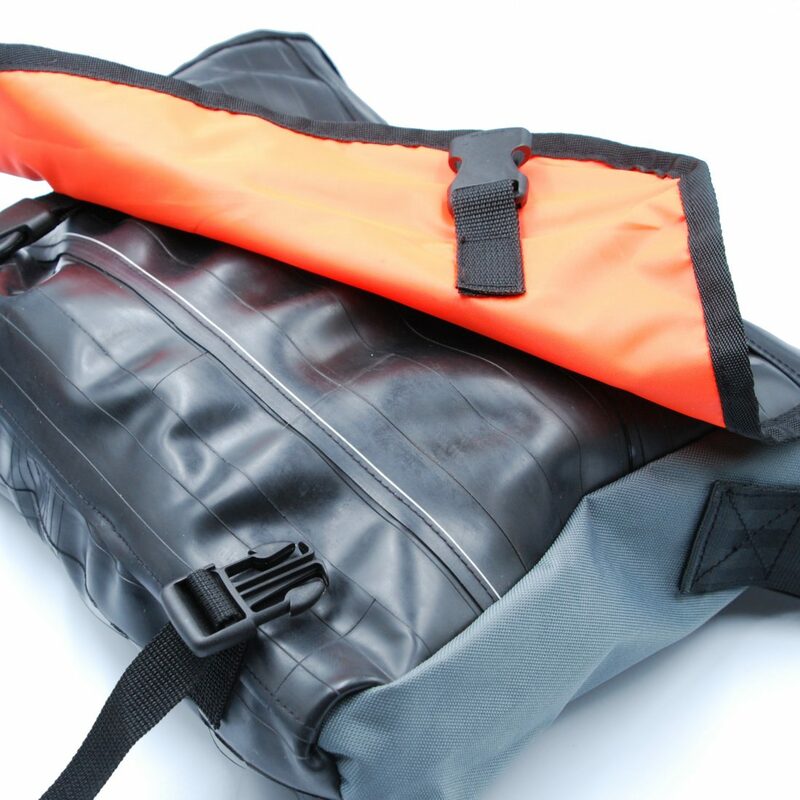 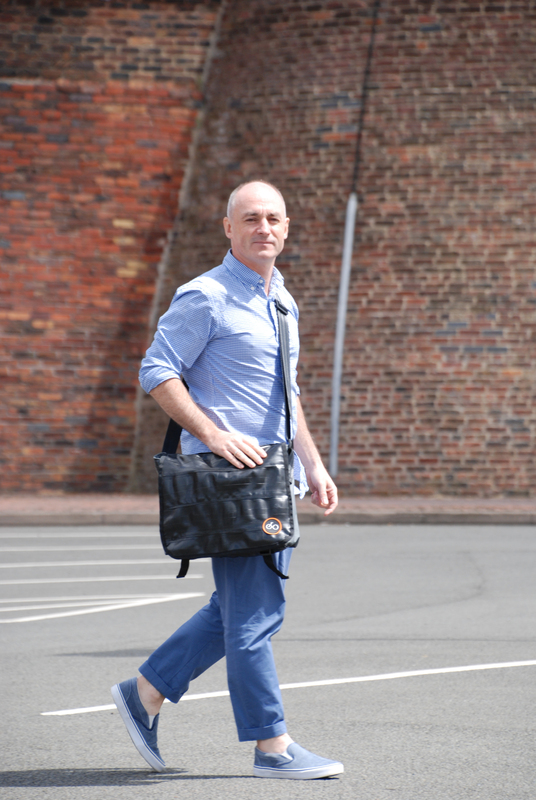 The messenger bag has a weatherproof recycled inner-tube top and base, a padded grey backing, it’s lined with an eye catching orange interior and has one internal pocket. 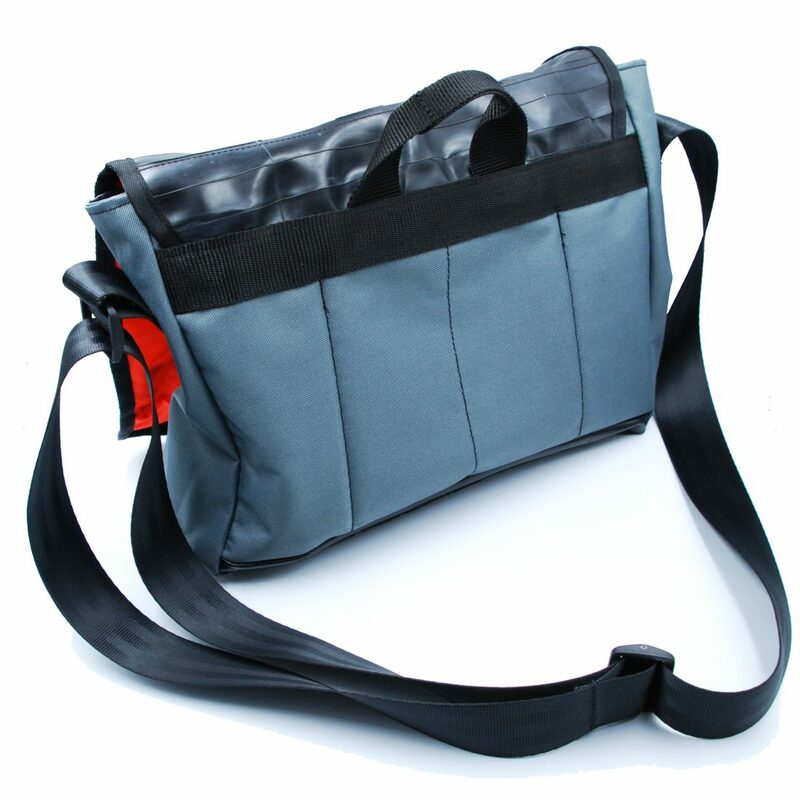 With an adjustable, strong, seat-belt strap you’ll find this bag sits comfortably across your body. 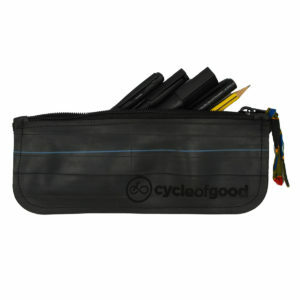 Made for Cycle of Good by Carradice of Nelson who have generations of experience in making bags for the discerning cyclist. 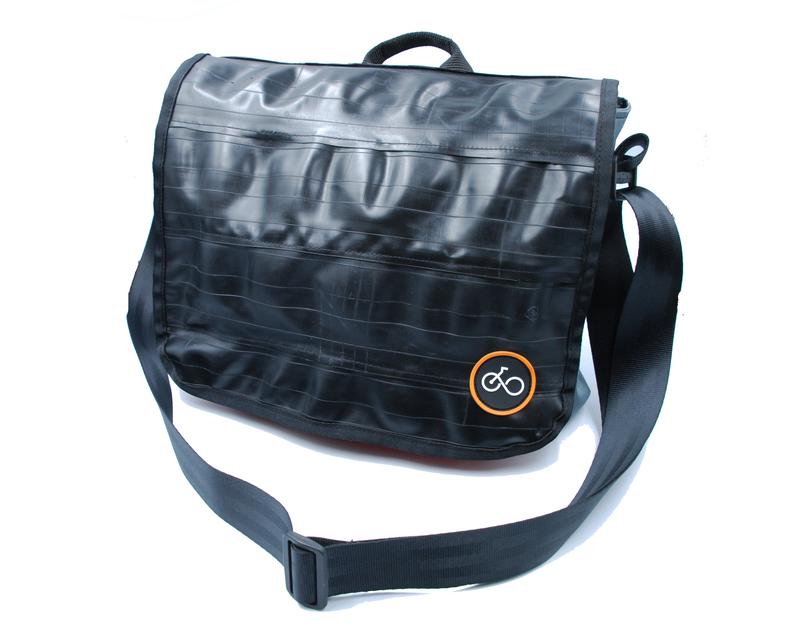 Carradice have been a great support to Cycle of Good and have visited Malawi to help train our tailors in the finer techniques of bag making; they are now helping our supply chain by working with us to develop products that cannot yet be made in Malawi. 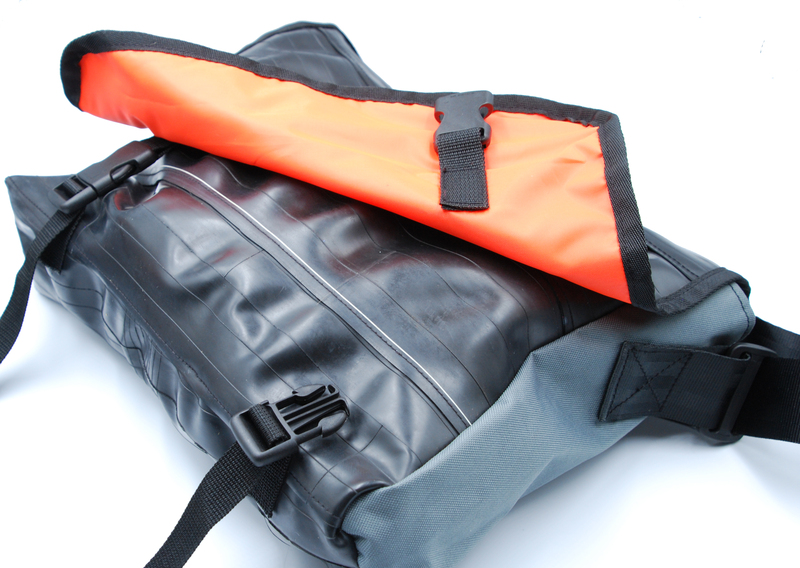 We’re so proud to have collaborated with such an established British company.